We live in a world where learning can be accessed from anywhere and at any time. Gone are the days where learning is solely taught in the classroom or by reading a thick book. If you required some new skills for your job you would potentially have to wait six months for the next training course to be scheduled and by that time the moment is lost. Just-in-Time learning allows learners to access learning content at the exact time that they require it. Imagine you are about to drive a car and the only learning knowledge you have about doing so is from a module you completed a couple of months ago. You could imagine that this would potentially be an unsuccessful experience and a desire for knowledge in that moment would be strong. Now imagine this same scenario with knowledge at your fingertips. You open up an app and there is an instruction video on how to turn on the car and begin to drive. This provides you with the confidence and fresh knowledge you require to successfully complete the task. This blog will explore tips on how to create and implement Just-in-Time learning for your organisation. A great way to provide your learner with knowledge at their fingertips is through introducing mobile learning (mLearning). mLearning allows you to put your learning content onto a mobile device. When your learner requires certain knowledge in a specific moment they can open their phone and access the content they need. It is important to know that creating mLearning is not as simple as compressing your eLearning onto a mobile device. 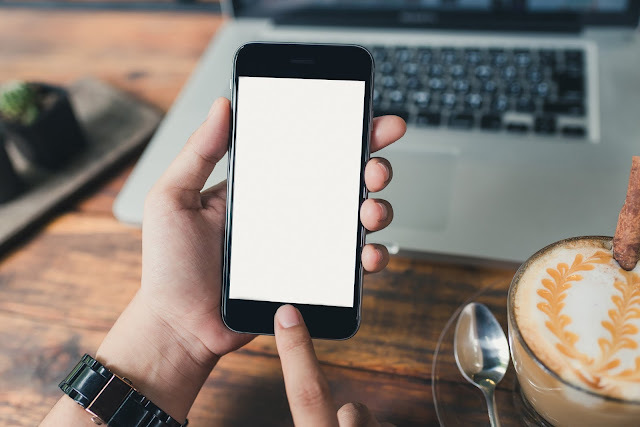 Designing a mLearning module requires planning and it is particularly important to consider which devices learners will be utilising to complete the module (Timothy, 2016). To find out more about creating mLearning check out this blog on mLearning here. A great way to prepare for certain skills that will be required at specific times for your learners is by creating a timeline of skills (Growth Engineering, 2017). Have a think about the certain skills that the learner will need to learn and when. Once you have this list you can create short learning components for each skill that can be made available on an accessible platform. An example of this is skills for interacting with clients. You could create three separate learning components, ‘The Initial Meeting with the Client’, ‘Securing a Sale with the Client’ and lastly ‘Maintaining a Relationship with the Client’. All of these skills will be necessary at certain points of time. If you make these skill components available on a platform, the learner can access them when they need them. When your learners are out and about they are not likely to have a lengthy amount of time to complete a Just-in-Time module (Growth Engineering, 2017). When you are requiring a certain skill in the moment you will want to be able to obtain the knowledge you require as soon as possible. Think about if you are at a café and decide to learn a certain skill that is required for a meeting you have coming up. You click into the learning component and begin the learning experience. You are half way through the content when you look up to see that your colleague has arrived for coffee. You have already spent 30 minutes on the learning content and feel frustration that you were not able to complete it. On the other hand, if the learning content took 10 minutes you would have gained the skills you required with time to spare. A great way for your learners to obtain information that they need in the moment is through a social learning platform. Imagine you have a question that needs to be answered in the moment. Rather than finding a module you completed months ago and rapidly clicking through the content until you find what you need, you can ask a peer. Social learning can happen anywhere and at any time. Learning is often required in the moment and social learning allows this to happen. Let learners ask customised questions when it suits them and have them receive answers from a range of fellow learners with different knowledge and experiences. This can be done through online forums, social learning platforms or via social media, whatever works best for you and your business. It is important that you consider the usability of your Just-in-Time learning platform. If your learner struggles to access the content that they are requiring in the moment they are unlikely to use that learning method again. Make your LMS mobile friendly or create an app that allows your learner to easily access the content. Single sign-on is another great way to ensure the process of accessing the content is simple for the learner. It’s time to remove the restraints of scheduled classroom learning. Provide your learners with access to the learning that they require in the moment. The possibilities for Just-in-Time learning are endless and very achievable. We would love to know how you offer Just-in-Time learning to your learners. If this is a new concept for you, we would love to know how it can work for you. We hope this blog added value to you and your business.